Hands down, the baddest children’s dentist in the Charleston area! Dr. Jen worked her magic on my son’s cavities without using anesthesia. Very patient and loving. Cassie the Receptionist is always very pleasant and helpful. The other staff members greeted us with a warm hello. Awesome artwork; it felt so good to see images that look like my son. When I saw Dr. Jen answering the phone and pulling files, I knew we had found a new dental home. Go see her, I approve this message! Great customer service, nice clean atmosphere. I love love Dr Jen and her team!! Great customer service and atmosphere!! I recommend her 100 percent!! Love Dr. Jenn. She is wonderful with my baby girls. Very family oriented. My kids have been coming here for a very long time. We love Charleston Smiles. Staff is always friendly and my kids are always happy to come! Love this place. I really love that my kids are known on a first name. Wonderful experience for my babies! The office was clean and had enough entertainment for our family while we waited. The staff was friendly and knowledgeable. I absolutely love Dr. Patterson and her staff! They are so good with my daughters! Jen is the best children dentist are. What I love most, is that she knows all the children by names. Dr. Jennifer Patterson has to be one of the best people you can ever know she is also such an amazing dentist. My son and I love her. Going to the dentist to see Dr. Jennifer Patterson is never a scary moment. Dr Jen is the best. She and her staff make my kids so comfortable. They enjoy going. I love how personable they are with each and every one of us. 5 starts don’t even begin to describe Dr. Patterson & her staff… I went to her as a child (age 7) & I am now 27 & 4 out of 5 of my kids see her & will never take them to another dentist office…. She is so amazing & might I add very patient with my oldest who hates the dentist office lol…. Dr. Patterson, the Adams family loves you dearly…. This was an awesome experience for my children. The atmosphere is adult and kid friendly, the staff was professional and fun, and the service is top notch. 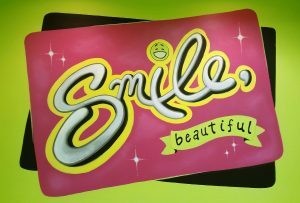 I would recommend that this should be your destination for children’s dentistry! We love doctor Jen!!!!!! My kids are 9,8,4,2 and she’s been seeing them since they all turned a year old. Dr. Jen is the greatest children’s dentist. She has such a gift with kids and goes above and beyond to make them happy. Will never even think of going anywhere else!! I love Dr. Jennifer and her staff. Any dentist that answers her phone after hours and will do anything to help is one of a kind. I couldn’t ask for a better dentist for my 3 children. I live in GC and so worth the Drive to Charleston Smiles friendly staff especially with the little ones. Awesome place! I changed my kids dentist to this one and I’m glad I did. All the staff are so nice and very good with the kids. They gave the kids great information about taking care of their teeth. Dr. Jen and her entire staff are amazing! They are ALWAYS friendly and take the time to get to know the kids!! © Copyright 2018. Charleston Smiles. All Rights Reserved.